Hey everyone, what’s up? How are you all doing? I’m doing fine and touchwood everything’s just going great except for the fact I’ve been sick for a few days now. Well, what are we talking about today? 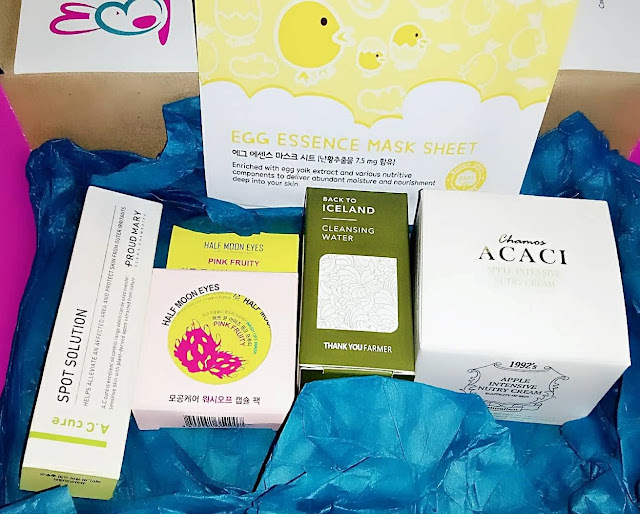 We are here to talk about a very interesting K-beauty subscription box which sends Korean Products every month. The box I’m talking about is known as Mishibox. So, without further ado let’s just jump right into the review. 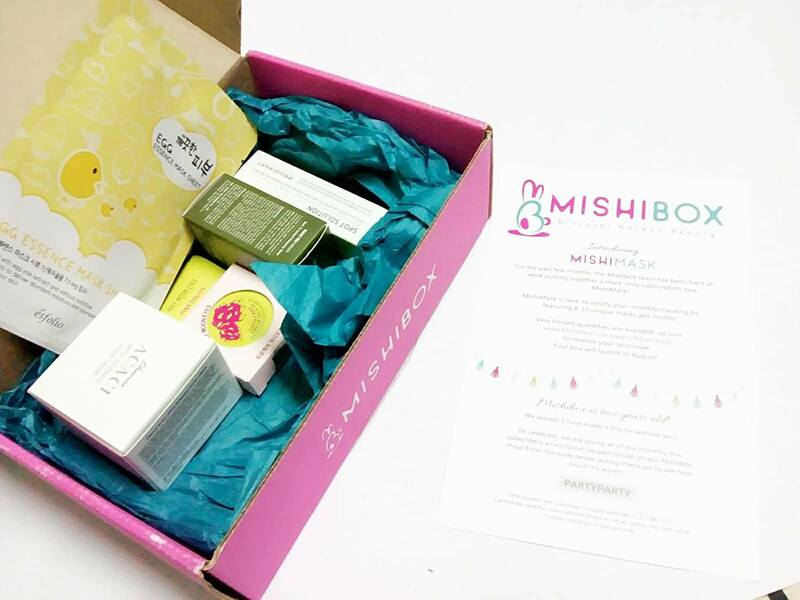 Mishibox Says : MISHIBOX is a small, family-owned startup company based in Virginia in the United States. Our company was founded in February 2015 with the simple idea of helping others explore the world of Korean beauty and discover their favorite products in a convenient, effortless, and affordable way. We want to make Korean beauty products easily accessible to everyone regardless of where you live or what language you speak. We are K-beauty fans ourselves and we want to share our passion for these products. Price: 20$ for one month (approx). Packaging: The box was nicely and safely packed and arrived in time. 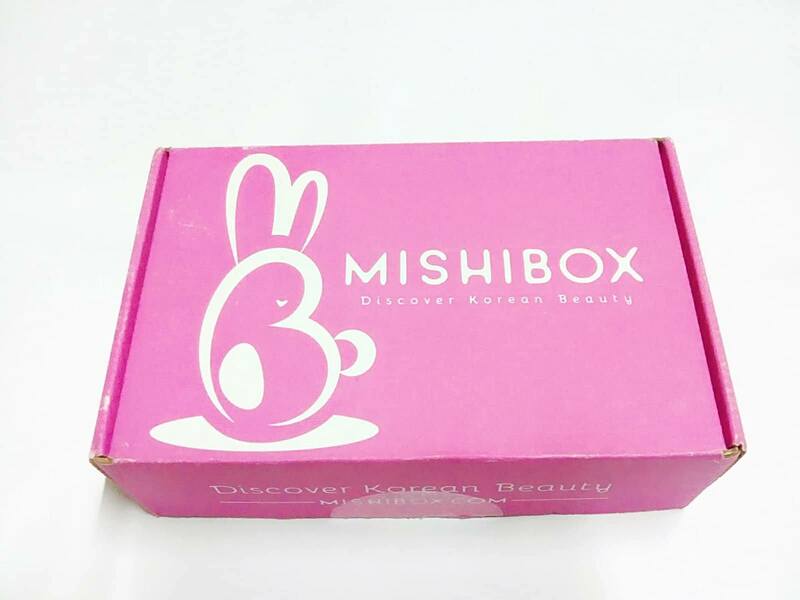 Product: The Mishibox is a pink cardboard box and with the logo on it which is so cute. I’m not even kidding you guys the packaging is simple yet cute. On opening the box we get to see the products wrapped up beautifully in a paper. Then we have a card with all the details. This is their 2 year’s anniversary special box. So, let’s see what we have in the cute box of goodies. 1. 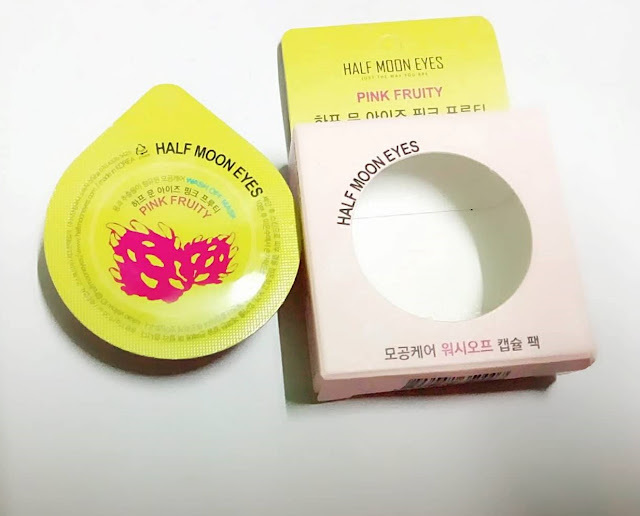 Half-Moon Eyes' Pink Fruity Wash-off Mask: This mask contains dragon fruit extract in the form of capsules to gently exfoliate, remove dirt and sebum, and reduce the appearance of pores. This smells amazing. It’s a full sized product and retails for $3.50 . 2. 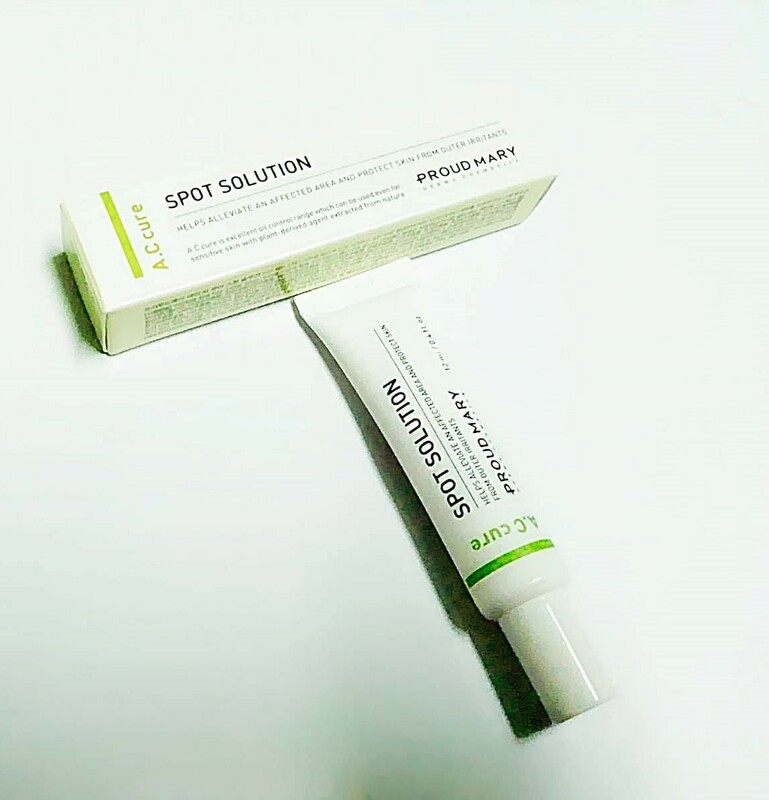 A.C Cure Spot Solution from Proud Mary: This contains various botanical extracts to help soothe irritated skin and decrease the size of pimples. It also creates a thin barrier to protect your skin from external stresses. This is the best spot solution ever. It does what it claims. The retail price of this baby is $16. 3. 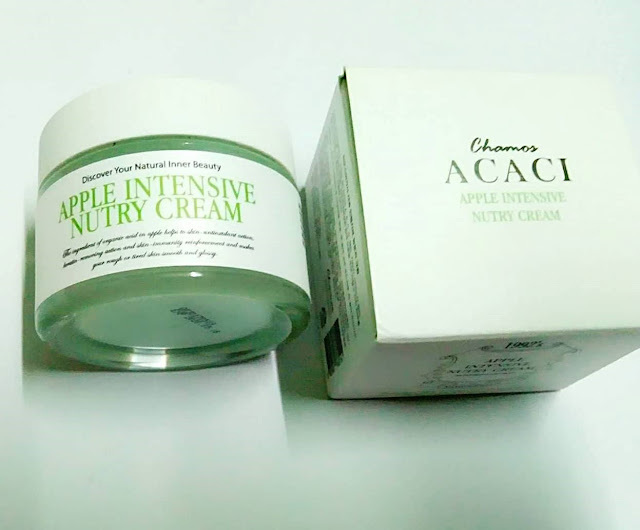 Chamos Apple Intensive Nutry Cream: This contains naturally occurring Vitamins and Amino Acids to smooth skin and provide long-lasting hydration. Ok, I am totally in love with this cream. Hands down this is the best thing I’ve given to my skin ever. If you see my skin before I started using this and now you’ll be able to see a lot of differences. No, it does not does magic or banishes my dark-circles, but it made my skin glow from within by providing it with a proper hydration. It made my skin looks healthy. I’m all prepared for the winter dryness with this cream. This is expensive and retails for $30. 4. 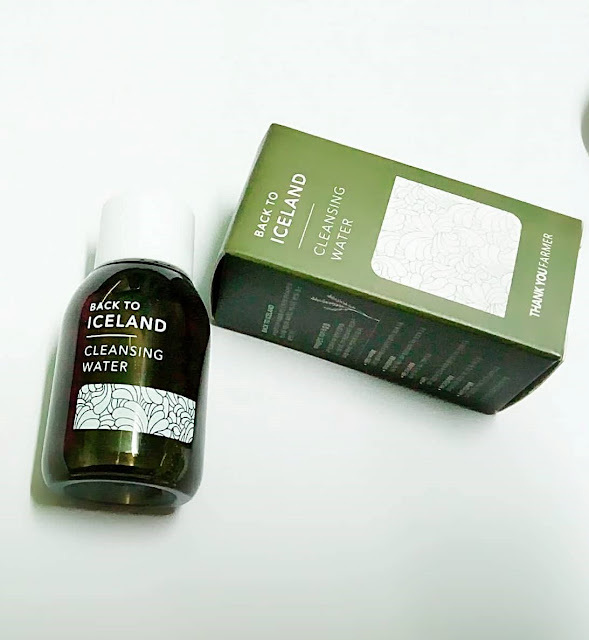 Thank You Farmer’s Back to Iceland Cleaning Water: This is your one-step cleansing solution! It effectively removes make-up, sebum and impurities from skin, eliminating the need for double cleansing. It contains Iceland miss extract which helps protect and nourish your skin and witch hazel which helps refine pores. I keep this in my makeup bag and carry it with me everytime. This retails for $6. 5. 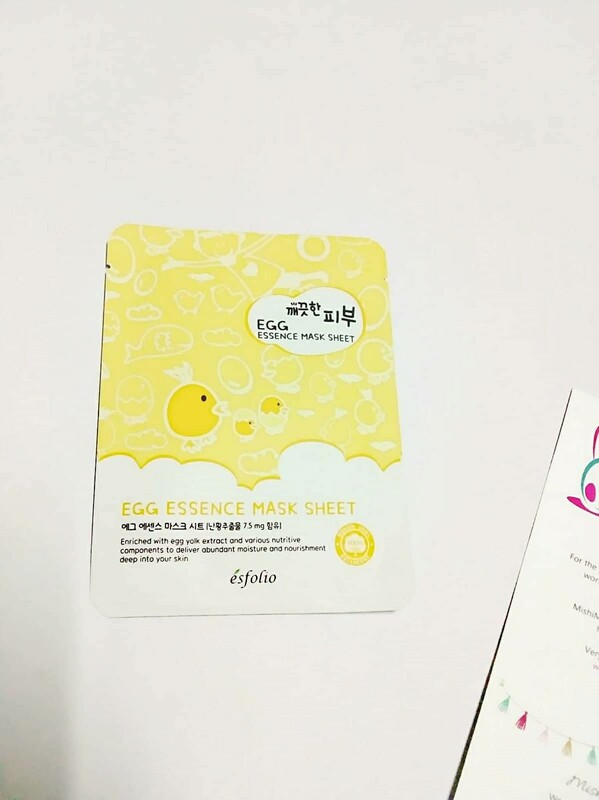 Esfolio’s Egg Essence Sheet Masks: Sounds a bit weird, right? Well, fear not. This helps in improving your skin elasticity and hydration. This retails for $2 each. So, these are all that we have in our cute little Mishibox. 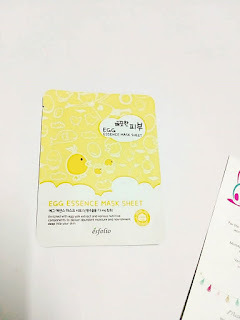 They also have a subscription box especially for sheet masks and it is called MishiMask. Do check them out and grab their products from their website. I’m absolutely in love with their box and give them a rating of a whopping 10/10. Don’t forget to share your comments and like this post. Bye, love you.